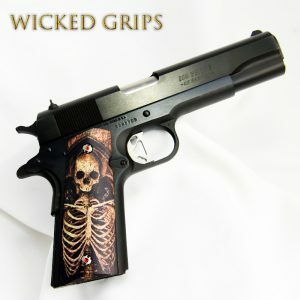 1911 ALUMINUM "USMC" NEWEST SERIES! 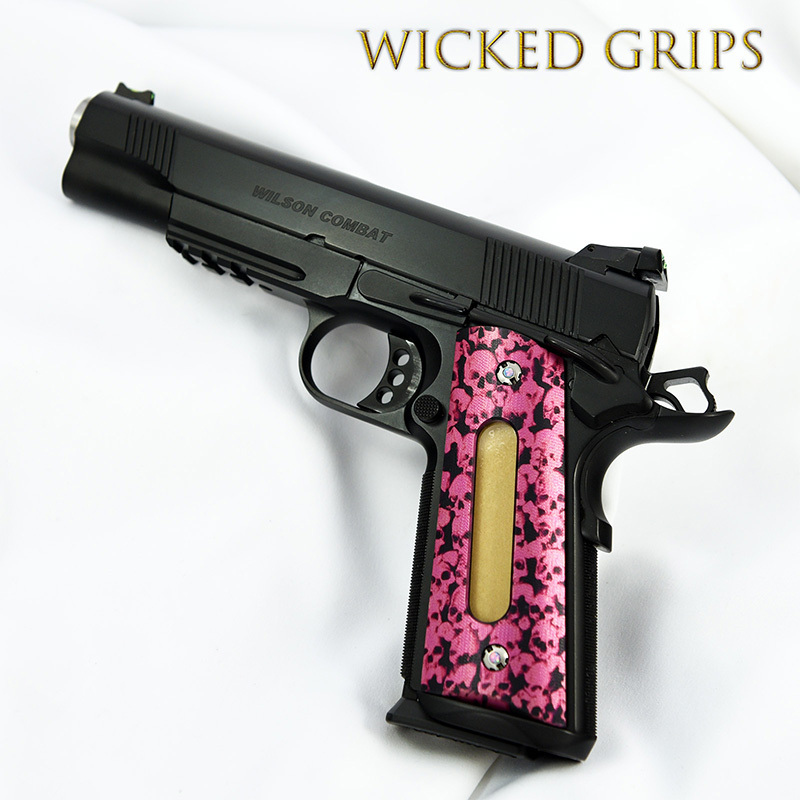 CUSTOM 1911 GRIPS ALUMINUM NEW DOUBLE WINDOW SERIES PINK MULTI SKULLS… AS VIEWED ON DAN WESSON VALOR 5″ FULLSIZE 1911. 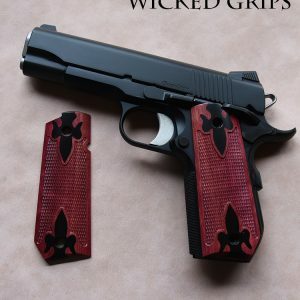 LAST SETS AVAILABLE FOR THIS SERIES! 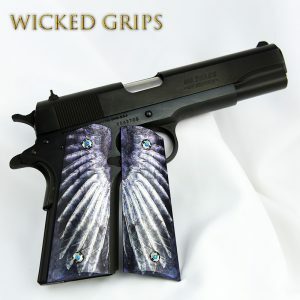 THIS SET COMES WITH A PROTECTIVE PAPER LAYER OVER THE GLASS ON THE BACK OF EACH GRIP, WHICH CAN BE REMOVED BEFORE INSTALLATION. Anodizing is a process which changes the surface of the metal. 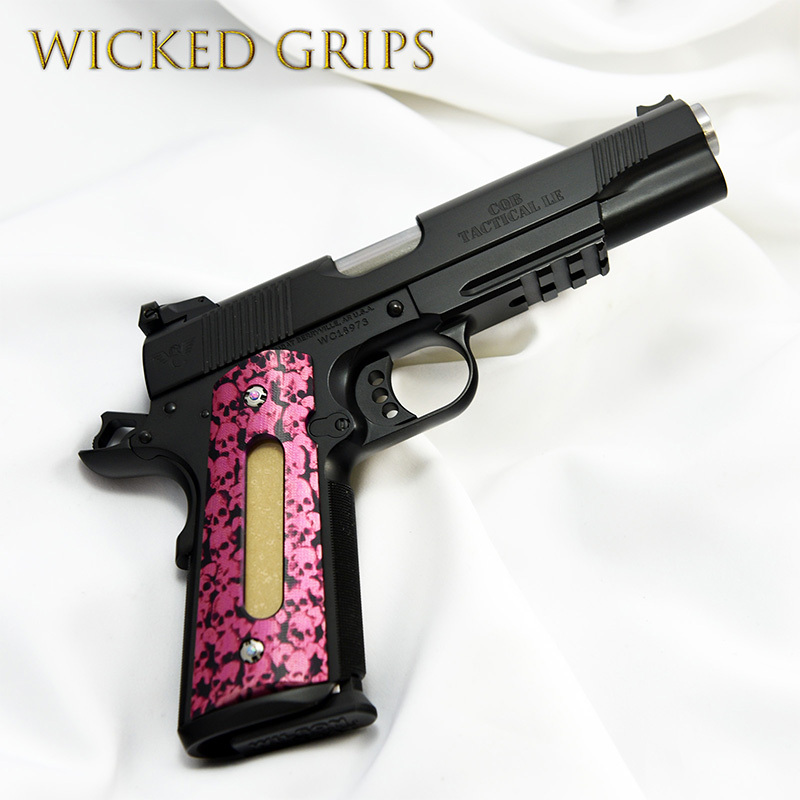 It is not a paint.. or a hydro dip… or a sticker. 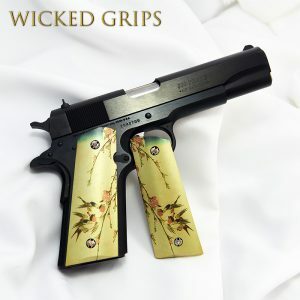 The only way it can be damaged is with some form of aggressive abrasive, like sandpaper. It will last a lifetime as long as you dont abuse it!